New Delhi: Forget Polly, there's a new parrot you need to know about. Meet Einstein, a Congo African Grey parrot. Just like namesake Albert Einstein, this parrot is impressing everyone with its brilliant mind - and, in this case, rather unique abilities. The parrot can do impressions and mimic a dog's bark, a wolf's cry and a whole host of other fun sound effects. Einstein also reportedly has a 200-word strong vocabulary. No bird brain, this one. The parrot, who turned 30-years-old on Tuesday, lives at Zoo Knoxville in Tennessee. The zoo celebrated the bird's big day by showing off Einstein's impressive vocabulary and mimicry skills. A video, shared on the zoo's official Facebook page, is earning Einstein lots of fans on social media. In the video, the parrot's trainer Adam Patterson offers the bird tasty treats after each answer. "Can you say 'hi'?" asks Patterson, holding a microphone up to the bird's beak. "Can you be a little more polite?" "Hi, sweetheart," the parrot squawks. Happy hatch day to Einstein! 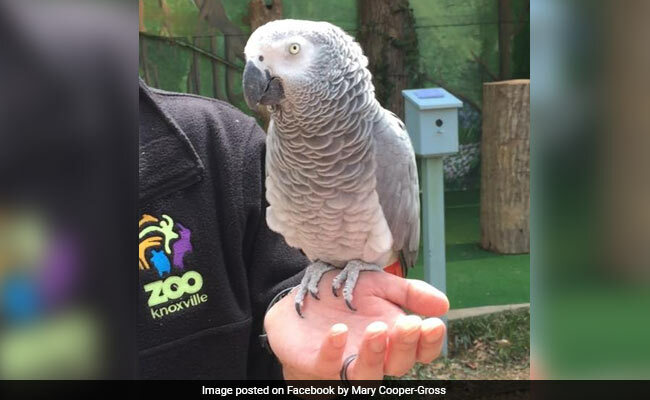 Zoo Knoxville's beloved African grey parrot turns 30 today. "Einstein gave a TED talk in 2006 it was great," comments one person. "In fact it was the only TED talk that I could watch all the way through." "This bird is more talented than me," jokes another. African grey parrots are known for their ability to mimic sounds heard once or twice before. Studies suggest they have the reasoning skills of 3-year-old children..